Secure, gated complex. South-west orientation, most with breath taking sea views. Ultra-modern design with ample bedroom and terrace space. Access to an exclusive clubhouse. 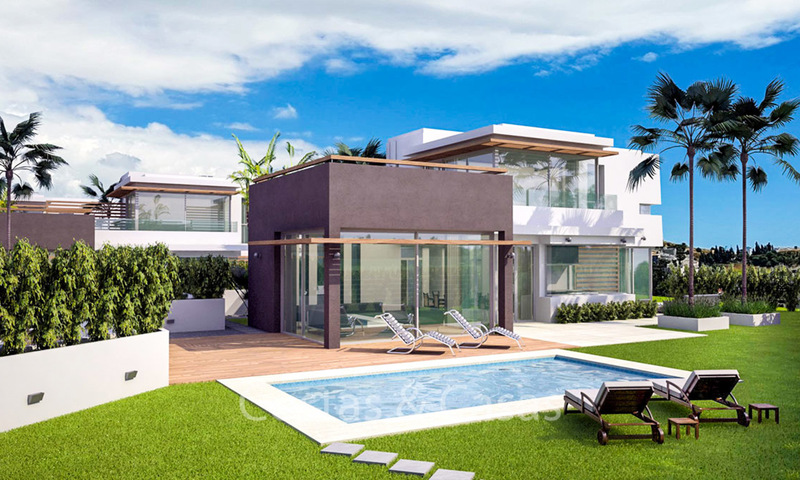 The private community of modern townhouses with 24h security provides a wide range of facilities, like a new private Clubhouse with indoor pool, spa, gym and social lounge with sofas, flat screen TV, Wi-Fi and kitchen. 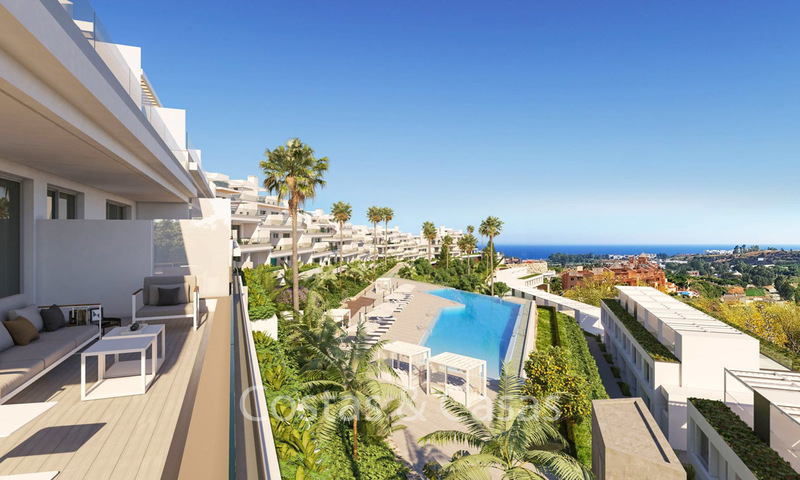 The 4 bedroom townhouses meet a key market demand, bridging the gap between an independent villa and a traditional apartment. 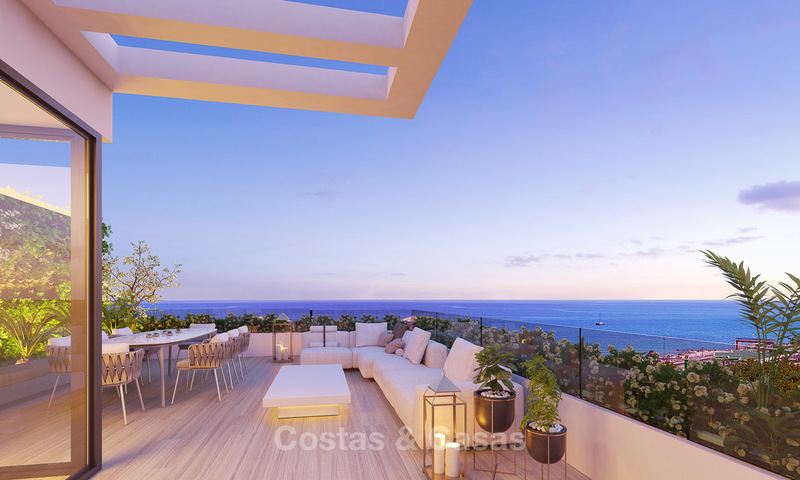 The townhouses boast an ultra-modern exterior with spacious open plan interior laid out over four levels, each with a stunning roof top solarium featuring a private plunge pool. 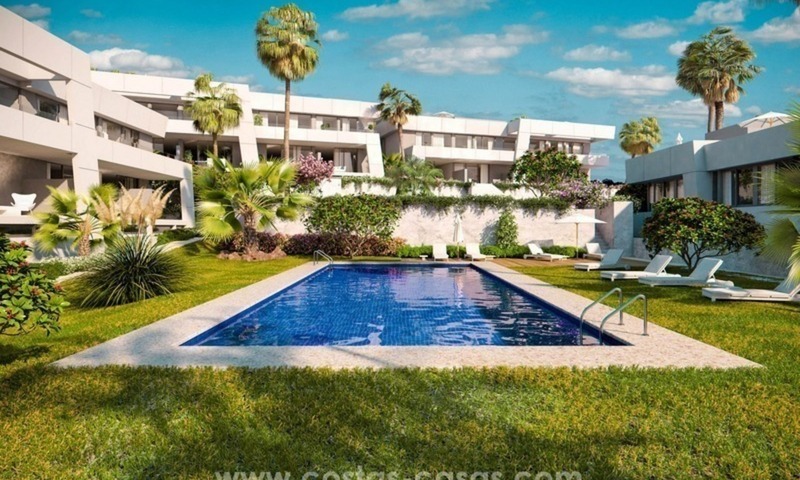 Excellent location: first line golf, surrounded by nature, close to Estepona, the beach and all amenities. 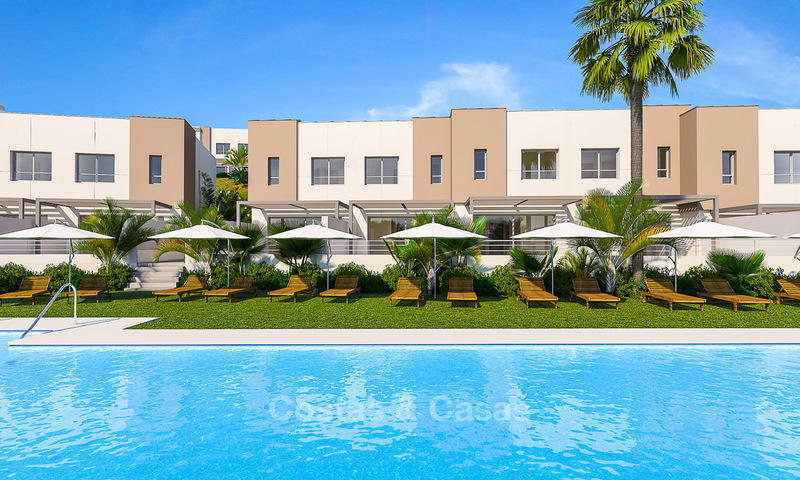 Gated community with communal gardens and pool. 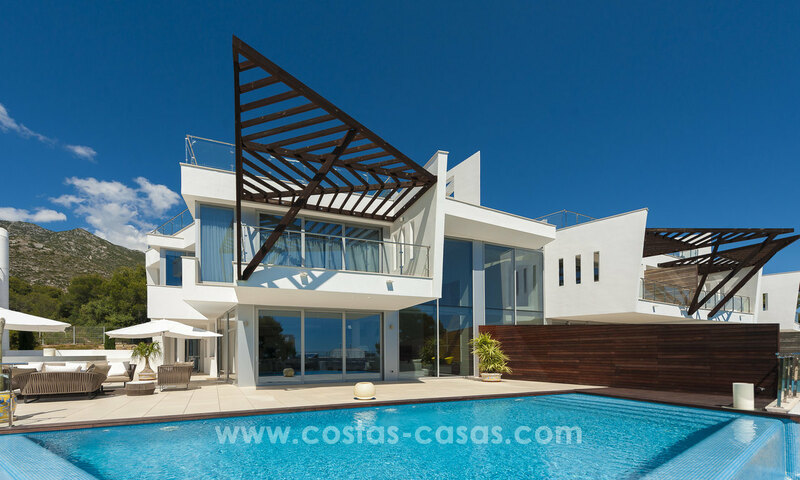 Modern Mediterranean architectural style. Generous terraces. Walking distance to the beach and all amenities. 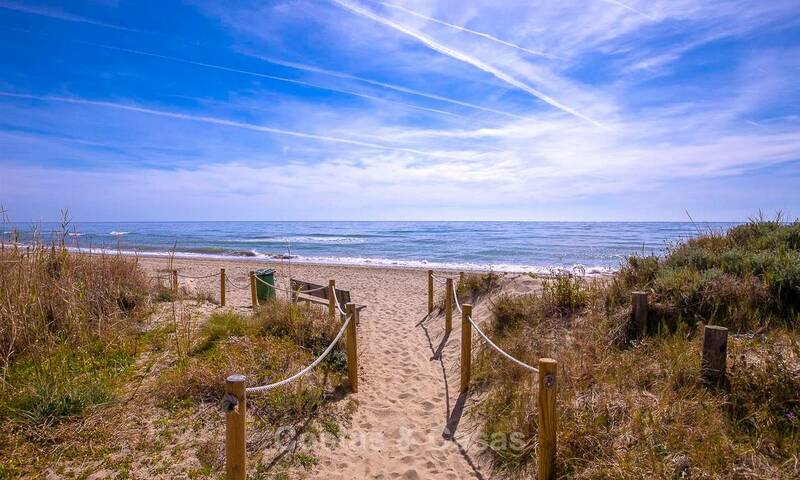 Close to the Fuengirola with all its tourist and leisure attractions, facilities and restaurants. 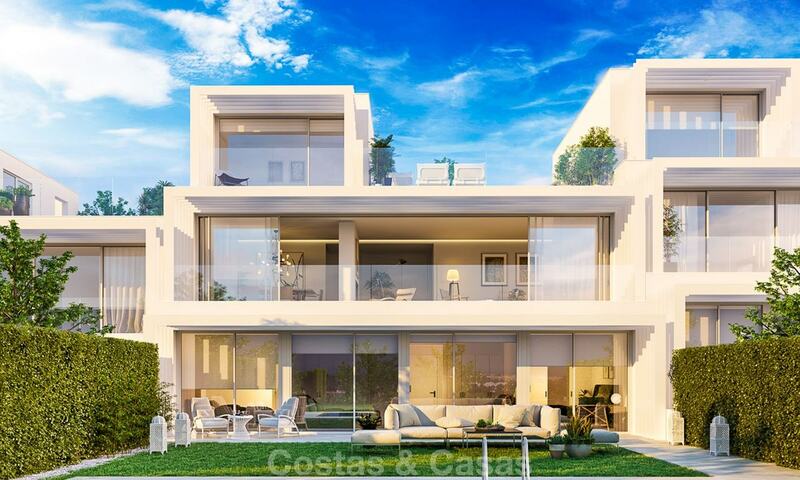 Modern open plan design with bright interiors, south west facing terraces and gardens. Last new houses for sale! Resales availalbe. 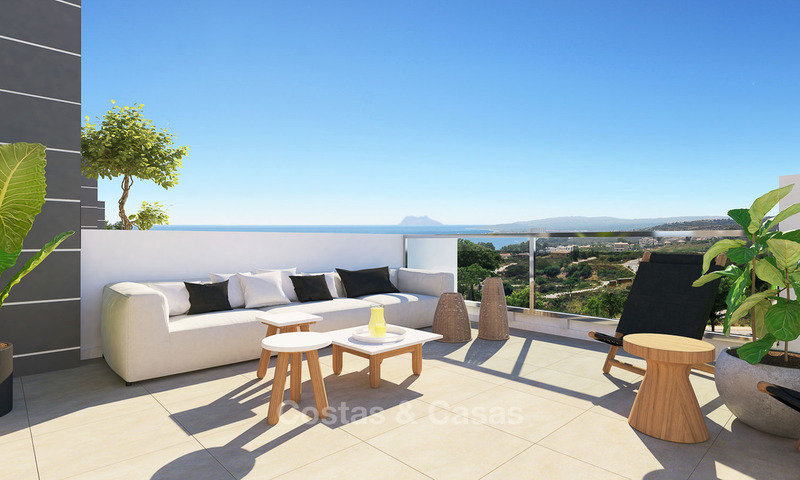 Exclusive modern complex at the foot of Sierra Blanca's natural park. Bordering the natural parkland and protected pine forest. 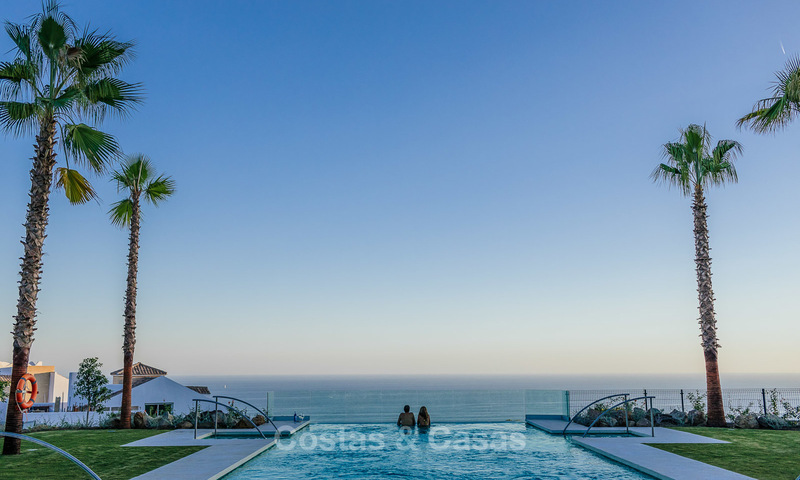 On Marbella´s Golden Mile, only a few minutes drive to downtown Marbella or Puerto Banus. A recently built and gated complex with a sublime architecture that masters the aesthetic use of light, space and materials.